Welcome to the Falz-Fein Biosphere Reserve “Askania Nova”! 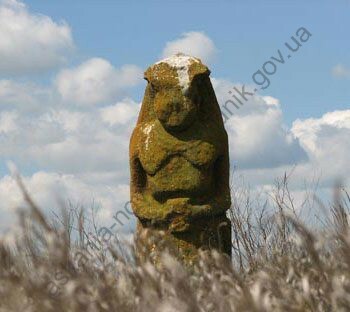 Askania Nova Biosphere Reserve named after Friedrich Falz-Fein, the oldest steppe reserve in the world which belongs in the top hundred of the most renowned protected areas of our planet, one of seven natural wonders of Ukraine has already celebrated its centenary. It was in the late 19th century that the wild life preserve in Askania Nova was founded by Friedrich Falz-Fein (1863 – 1920), a descendant of German colonists who had owned vast territories in the south of Ukraine and successfully farmed there, where he first started building aviaries for birds and animals at the age of 11. Friedrich’s childhood hobby and fascination with wild nature soon became his life’s calling which he passionately pursued till his last breath. By the early 1880s the news of an unusual zoo with various animals roaming free in the middle of arid steppes of Tavria region in then Russia had spread over Europe. Not only the size of the zoo was impressive but also the fact that it featured, unusually for Europe, zoo species like Przhewalski horse and saiga antelope among no less exotic for this part of the world ostriches, lamas, antelopes, elands, wildebeests, gazelles, zebras, bison and other exotic ungulates that felt at home here. From the very outset, the founder of this steppe oasis set up and achieved highest environmental goals which were ahead of its time by minimum of 100 years. Following the zoo creation, the arboretum was planted in years 1887 – 1902 with the elaborate water supply system. In 1898 Friedrich Falz-Fein commanded that the large plot of fescue-feather grass steppe ecosystem be conserved ‘in perpetuity’. There has been a great deal of evidence from reliable scientific sources that by 1898 in Askania Nova F.Falz-Fein had managed to establish a nature reserve structure similar to the one which was declared ‘a biosphere reserve’ concept by UNESCO only in 1972. Such powerful was Friedrich Falz-Fein’s vision of preserving wild life for generations to come and solid the nature conservation foundation stone laid by him in Askania that neither two world wars and revolution nor socialist “collectivization” that resulted in famines and other tribulations and vicissitudes could destroy or significantly damage his creation. In 1919 Askania Nova Preserve was nationalized and transformed first to the centre of crossbreeding and acclimatization of animals, then to the institute of steppe livestock research. Despite all the transformations three main components of the preserve — zoological garden, arboretum and largest in Europe plot of conserved feather grass steppe –have been always kept unchanged. Askania seems to be blessed with miraculous resilience and vitality, and keeps evolving and expanding with every next generation of nature researchers. While the original area of the zoo was nearly 100 hectares, nowadays animals reside partially free on the territory of 2330 hectares; the arboretum has grown in size from 28 ha to 167 ha and the conserved steppe area has increased from 600 ha to 11054 ha. In 1984 Askania Nova Reserve was designated as a biosphere reserve and has been listed in the World Network of Biosphere Reserves (WNBR) by UNESCO since then. Its current area is 33.300 hectares comprising the steppe reserve (the core area), the buffer zone and the transition area, and is rightfully considered the oldest steppe biosphere reserve on the Earth and the largest one in Europe. The biodiversity of this steppe ecosystem is amazing: altogether there are over 500 species of various plants and over 3000 animals. 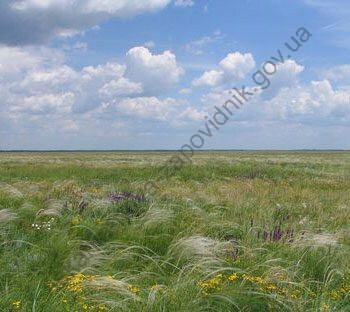 Numerous plants, which have disappeared on the vast expanses of former Eurasia grasslands in the last two centuries, keep growing here as usual: feather grass – Stipaukrainica, Stipalessingiana (Needle Grass), Stipacapillata (Bridal Veil), wild tulips – Tulipascythica and Tulipaschrénkii, Bellevaliasarmatica, wild onion — Allium regelianum, cornflower — Centaureataliewii, starfruit – Damasoniumalisma, etc. During the warm seasons the steppe landscape keeps changing colours as if by magic. Depending on the predominance of particular flowering plants in grassland, it takes your breath away with amazing emerald green, blue, lilac, yellow, silver and other spectrum colours. 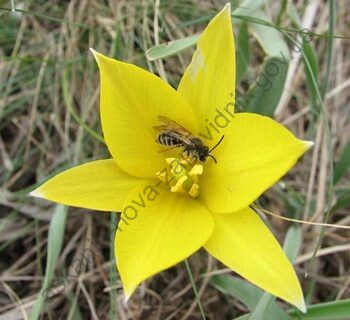 Carpets of blooming flowers alternate till the middle of June, after which the steppe takes a rest until September. Aboriginal animal world is adapted to living in hot arid climate. All day long one can enjoy nice songs by calandra larks and skylarks, beat-like sounds by quails, a mesmerizing view of Montagu’s harriers’ and steppe buzzards’ soaring. Since time immemorial to the present day, across the territory of the reserve the Azov-Black Sea migration flyway has existed, through which more than 250 bird species migrate annually, either in dozens or in significant numbers of 40, 150 and even up to 500 thousands. Due to availability of a water pond in the centre of the reserve, The Big Chapelsky Pod, which plays host to huge masses of migrating waterfowls, the territory was included to The List of Wetlands of International Importance (The Ramsar List). In the Northern Black Sea coast area Askania Nova is one of the main sites of spring and autumn gatherings of grey crane – up to 44 thousands, as well as a wintering ground for bustards – up to 2500 species, red-breasted goose – up to 12 thousands, white-fronted goose, wild duck or mallard and many others. The steppe is a habitat for mammals such as badger, fox, wolf, hare and a great number of representatives of the rodent family. There are a number of rare reptile species, namely the bloched snake, meadow viper and smooth snake. Altogether, the fauna of the biosphere reserve has 69 species listed in the Red Book of Ukraine, 295 species protected by the Berne Convention, 104 further ones protected by the Bonn Convention and 12 listed in the European Red List. Askania Nova is rightfully called a man-made oasis in the steppe, and as of the late 19thcentury an arboretum irrigated by artesian waters has been flourishing there. Water of artesian wells is brought to every plant by the elaborate system of irrigation channels giving life to 1030 types of woody plants and more than 680 kinds of herbaceous ones. Being the largest in the steppe area of Ukraine arboretum, Askania Nova has held the status of the national park since 1983. There are 73 plants listed in the Red Book of Ukraine and nearly 100 plants which are rare for Eurasia. 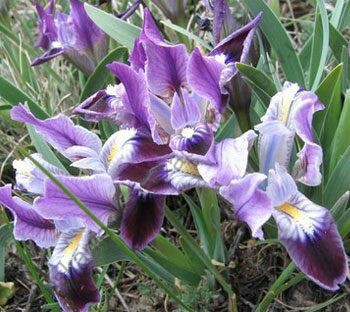 Plants that have been introduced here are grown now at numerous parks and gardens in other regions of Ukraine and beyond, while the scientific laboratory of the arboretum cooperates with colleagues on four continents. Set by F. Falz-Fein tradition to breed zoo animals on the vast grassland expanses in herds and flocks has been further developed. Askania Nova zoo with its distinguished feature of keeping animals partially free, remained one of the largest zoological parks in the world for a long time, as well as a centre of scientific research on preserving endangered animals and reintroducing them to the wild nature. In particular, Askania Nova is world renowned for having made a major contribution to survival of the rarest Przhewalski horse which was introduced to Europe in 1899 as a result of F. Falz-Fein’s determined efforts to save this wild horse which was practically extinct in Mongolia. Only in 1992 after a long absence in its natural habitat this species was reintroduced to Hustai Nuruu reserve near Ulaanbaatar from Askania Nova and Holland. It was in Askania Nova that the world’s first experiments on artificial insemination of animals were conducted in the early 20th century which significantly facilitated growth of livestock raising. Nowadays researchers of the biosphere reserve keep working on particular adaptive qualities of wild animals from other climate zones in the arid conditions of the south of Ukraine and growing animals to recover losses in other zoos. At present ungulates and birds grown in Askania Nova can be found in all zoological gardens of Ukraine and other countries. Many bird species inhabiting the reserve territory in free populations can then move to live in other regions of the planet. Geography of this resettlement is impressive – from Western France to Transbaikal in the east and from the Novaya Zemlya (New Land) islands in the north to the headwaters of the Nile – which attributes transcontinental importance to the present day Askania Nova Biosphere Reserve. Not only it is a prominent research institution but also the largest in the south of Ukraine ecological education center. The reserve was first open for tourists in F.Falz-Fein’s times (with 2-5 thousands of visits in 1909-1910 including those from abroad) while currently up to 140 thousands visitors enjoy its unique beauty annually. History of establishment and further development of Askania Nova Biosphere Reserve is a remarkable example of how one extraordinary man’s vision and hard work can make this world a better place to live. Friedrich Falz-Fein will be always remembered and honored by the grateful next generations.